Breast cancer affects 1 in 8 women in the U.S. during their lifetime. According to breastcancer.org, over 230,000 women are estimated to be diagnosed with invasive breast cancer this year. Of these women, nearly 40,000 will die from the disease. Breast cancer is the most commonly diagnosed cancer in women after skin cancer, and is the second deadliest cancer following lung cancer. As frightening as these statistics are, it's also important to know that there are more than 2.6 million breast cancer survivors. For many women, surviving breast cancer is viewed as a battle. Women who arm themselves with information, great health providers and a support network may feel empowered in their fight against this scary disease. In New York State, many women have turned to the Adelphi NY Statewide Breast Cancer Hotline & Support Program, a non-for profit program funded entirely through donations. When friends and breast cancer survivors, Nancy Sherman and Bari Cenname learned that Adelphi might run out of funding and would have to shut the breast cancer hotline, they brainstormed on ways to help. They were joined by friend Shannon Leigh Lenihan and the outcome was Iced Pink, Inc., a charity that sought to raise awareness and funding through ice skating. 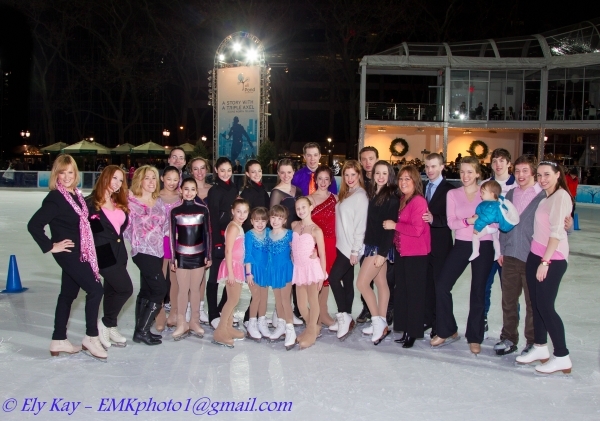 On Saturday evening, January 7, 2012, Iced Pink Inc. presented the Skate Against Breast Cancer fundraising event at the Citi Pond ice rink at Bryant Park in New York City. 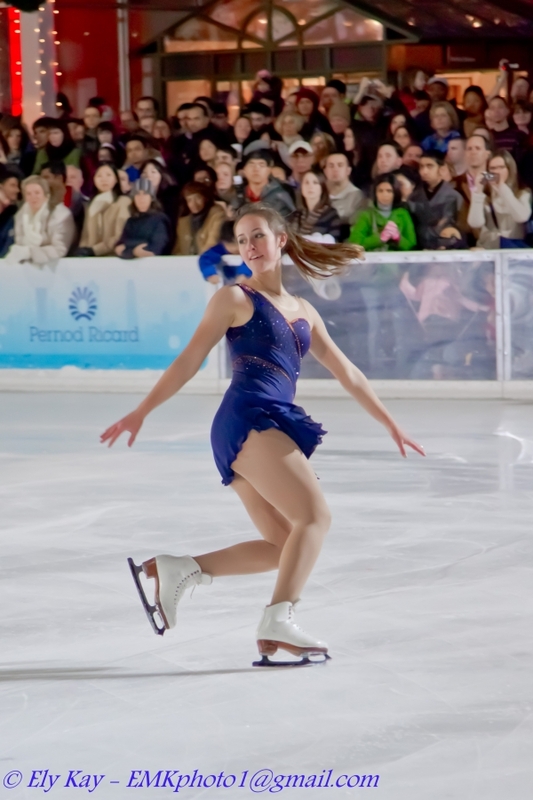 Many current, former and future US Olympic and national champion figure skaters volunteered their time to perform at the event. The list of skaters included JoJo Starbuck and Tim Goebel who acted as hosts of the evening. They were joined by Sarah Hughes, her sister Emily Hughes, Kimmee Meissner, Nicole Bobek, Melissa Gregory and Denis Petukhov as well as several aspiring younger skaters. The event was open to the public and was well attended, with Bryant Park full of cheering spectators. By all measures, the event was great success. Visit Iced Pink, Inc.'s information on their Facebook page and consider making a donation to this great cause.